Item # 313744 Stash Points: 1,395 (?) This is the number of points you get in The Zumiez Stash for purchasing this item. Stash points are redeemable for exclusive rewards only available to Zumiez Stash members. To redeem your points check out the rewards catalog on thestash.zumiez.com. Accentuate your personal, laidback skateboard style with Mob Grip's Red, Green and Yellow Tie Dye Grip Tape. Coming in a tri-toned tie dye colorway, this sheet of grip adds extra flair to the top of your deck, delivering colorful aptitude to all your flip tricks. 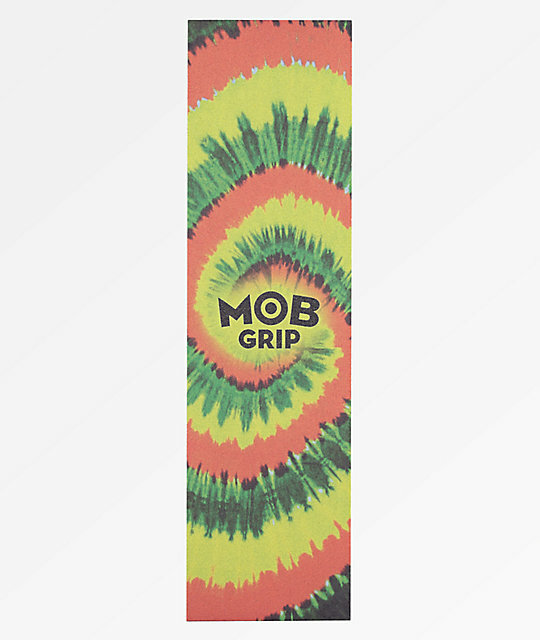 Red, Green & Yellow Tie Dye Grip Tape from Mob Grip. Tie dye colorway in red, green and yellow throughout.